The Samsung Galaxy S9 and Galaxy S9+ will be unveiled this Sunday and they may be on store shelves less than a month later. Korean publication The Investor cites sources who claim that pre-orders for Korea’s major carriers will start on February 28 – the Wednesday after the Samsung Unpacked event. Global sales are set to start on March 16, though those who’ve pre-ordered will probably get it the week before (that’s for Korea, it’s not clear if the global pre-orders will ship before the 16th). There’s no new info on the pricing – last we heard, it would start at €910/£740 for the Galaxy S9. 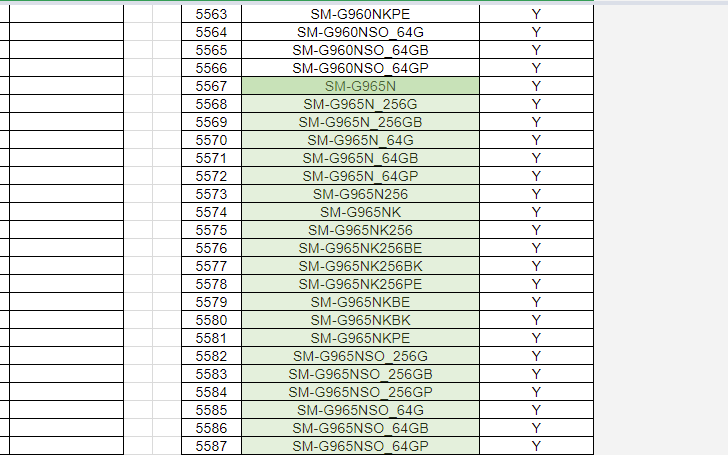 Meanwhile, the Korean Lost & Found center for phones has listed new handsets in its database – the S9 duo. This includes a 256GB version of the Galaxy S9+. The smaller S9 appears only in 64GB form, in fact the 128GB option is not mentioned at all. Memory will be one of the differentiating features between the S9 and S9+. The smaller model is expected to have 4GB of RAM and 64GB base storage (and, perhaps, 128GB too) while the bigger S9+ will have 6GB RAM and up to 256GB storage. Man dont believe to that. S9 will cost more than S8 price whas when released.